(16/P79) TRENTON – The Department of Environmental Protection will be providing free minnows to visitors at Hunterdon County 4H & Agricultural Fair at the South County Park in East Amwell and West Amwell townships on Friday, August 26, from 1-6 p.m., as part of the state and counties’ continuing mosquito-control efforts. The minnows are one of several species of fish that eat mosquito larvae. Nearly 500,000 of these fish have been raised at the Charles O. Hayford State Hatchery in Hackettstown and deployed in water bodies where mosquitos throughout New Jersey thrive. The fish eat the insects that carry dangerous diseases such as West Nile Virus, Eastern Equine Encephalitis and, although very unlikely in New Jersey, the Zika virus. “This first ‘Adopt a Minnow’ program is intended as another way to show the coordinated efforts of our state mosquito control experts and their counterparts across the state at the local and county levels,” said Deputy Commissioner David Glass. Participants in the ‘Adopt A Minnow” event will have to review a short checklist on the proper use of the fish in standing water in such places as ornamental ponds and bird baths and then agree to place them in areas on their property only to best help combat mosquitos. They also will be provided a list of the best ways to avoid being bitten this season by following the 3D’s of mosquito control: Drain the standing water from your property (almost any amount is too much), Dress with long sleeves and pants to cover skin, and Defend by use of repellents. They will also be asked to post on social media pictures of their fish in action with the hashtag #ZapZika and share it with their friends and neighbors as well as the DEP’s Fish & Wildlife Facebook page at https://www.facebook.com/NJFishandWildlife/. 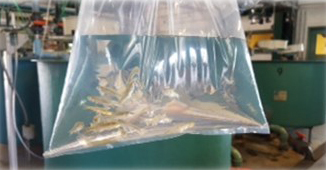 Five breeds of mosquitofish are raised in Hackettstown for mosquito control; the fathead minnow (Pimephales promelas),the freshwater killifish (Fundulus diaphanus), the pumpkinseed sunfish (Lepomis gibbosus), the bluegill sunfish (Lepomis macrochirus) and the Gambusia Affinis also known as the mosquitofish, for biological control. With Commission funding, the fish are raised at the hatchery and distributed, at no charge, to county mosquito control agencies. While Aedes aegypti, the species of mosquito that carries the Zika virus, is rarely found in New Jersey, the State is enhancing its existing mosquito control efforts. DEP has been working with the New Jersey Mosquito Control Commission, and county agencies to monitor for this particular species of mosquito. DEP experts and their colleagues at the New Jersey Department of Health, the New Jersey Department of Agriculture, and Rutgers University’s Center for Vector Biology are working closely together in order to reduce the risk of mosquito-borne viruses.